Addison’s plan was simple. Leave her cheating prick of a husband and move back to Ireland to live out her dream. Sounds easy enough, right? Wrong. After his unexpected loss, Blake’s focus is his daughter happiness. But finding a sopping wet Addison’s wrapped in only a towel turns his thoughts to his own future and the possibility of finding love once again. Blake ignites excitement and passion in Addison she’s never experienced before, but when her ex drops another bombshell, will she decide that’s enough to keep her in Ireland for good? It wasn't supposed to be like this.... I wasn't supposed to be boyfriendless, homeless, and jobless at 28. And I most definitely wasn't supposed to hit Hollywood's resident bad boy Gabriel Evans with my car and break his foot. Now I'm stuck in his apartment, taking care of him while he's incapacitated. Living with the hottest guy in Hollywood, who I've had a crush on forever, doesn't sound like a chore, right? Wrong. Gabriel Evans is rude and crude and drinks way too much, and as soon as his foot is healed I'm out of here. So why do I keep forgetting to check the classifieds? He's the hot college quarterback all the girls want. She's the smart girl he loves to pick on. And now that they're all grown up, things are about to get geekin' ugly. My name is Tass. I'm smart, I'm driven, and I am determined not to let prankster Hunter Johnson continue raining on my parade. When we were little, he'd pull my hair and call me names. When we were teenagers, he'd throw food and tease me for being a flat-chested virgin. But now that we've ended up at the same college, he's out of his hot head if he thinks he can keep messing with my life. 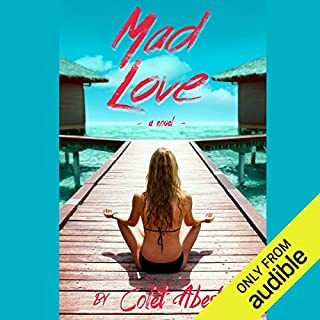 Twenty-three-year-old aspiring artist Sophie Walker can think of no better place than the exotic paradise of the Maldives Islands to escape the wrath of her controlling parents, the monotony of her boring legal work, and her passionless boyfriend. With her two best friends along for the ride and to help her find herself again, Sophie is not prepared for the enigmatic Clayton Sinclair. Clayton comes from a world of privilege that seems like a fantasy to Sophie. Setting up my stunning best friend should have been easy - and my brother's best friend, Jaeger, seemed like the perfect candidate. Until I saw him again. Jaeger Lang, my secret high school crush, has grown up and bulked up. But that doesn't matter, because I have a perfect life. Really. Until my boyfriend turns out to be a douche, I lose my job, and my life plan falls apart. Even so, I could keep my hands to myself...if not for those hard abs, broad shoulders, and intense green eyes. I should hold back in case my friend is interested. Or in case Jaeger's ex has some claim on him. Or in case of a million other reasons. But if he's not willing to play by the rules, I don't think I can, either. ©2014 Jules Barnard (P)2016 Audible, Inc.
Lots of unforeseen twists, the ups and downs she encounters in her life are frustrating and believable, but it all ends happily ever after, just as I like. If you are over 25 in my opinion you are too old for this book. I out loud groaned and eye rolled more times than I can count. The supposedly smart lead woman is immature, unbearably dramatic and jumps to the very worst conclusions on the flimsiness of "evidence". The lead was so completely insufferable that I truly struggled to finish the book. I wish I could say it got better. I was going to continue in the series, but I don't have that many eye rolls in me. The beginning storyline was cute but it began to drag on after the author repeatedly added new plots when the book could have already finished. It would have been better if it was a little shorter and she had used other plots in a separate book. Secondly, there is a large amount of content surrounding sexual abuse. Two women and two men are sexually attacked. Then the people who attacked them never received any punishment. The women just pushed aside their valid feelings about being almost raped and never told any authorities about it when it would have made sense for them to do that. If you are sensitive to that topic, I would listen with caution because that topic is repeatedly brought up. I enjoyed the story. The narrator brought the characters to life for me. The story held my interest from the beginning. Love this author's work. Seeing this book in Audio made my day! I felt like I had taken a trip down memory lane, having been a fan of the storyline and characters when I read it the first time around. The narration really brought this book to life, adding more depth and emotion! I'm excited to start the second one! Cali and her best friend Gen are working at a casino for the summer in Lake Tahoe before Cali starts law school at Harvard in the fall even though she has questions if that is truly what she wants to do. She has been dating Eric for the past two years however he is using their separation as a reason to end their relationship without manning up and telling her. Jaeger was best friends with her brother while they were in school. He had dreams of being an Olympic skier however an injury ended his career as well as his relationship with his girlfriend Kate. He is now living in Lake Tahoe and what begins as friends escalates into more but not without overcoming some obstacles along the way and that was before his past came crashing into his present and turned everything upside down. This story has a few twists, a lot of drama, some angst and no shortage of emotion. I enjoyed the way the narrator managed to get you emotionally invested in the story. Younger crowed but, still a great story with great writing. Narrator is spot on. Wish they had more of a dual story but, I can't wait to see how it progresses. I guess it makes sense when you consider that the characters are in their early 20s, but it became a little tedious after awhile. The female lead was very immature and whiny for someone that was supposed to be so intelligent. And the male lead just came off as a bit of an idiot. I mean, how many times can you find yourself in compromising positions with other women and still claim to have no clue what’s happening. Their relationship seems to be based off physical attraction, but not much else of any substance. Another thing that bugged me was the way all the characters respond to situations. I mean, 2 women are sexually harassed and just put up with it in order to keep their menial jobs in a casino....I don’t think so! Have some self respect. I would give this author/series another shot, but if it follows the same pattern, I definitely won’t waste hours on it hoping it’ll get better. This was an entertaining book and a lovely romance in a gambling town. Nasty characters are trying to do not so nice things to the romantic couple. I loved this book. It had me hooked from the get go, and was a wild ride. I will definitely be reading more stories about the Men of Lake Tahoe! the story was good but it seemed too rushed. there are a lot of people in the book but it only brushed the subject and leaves you hanging.